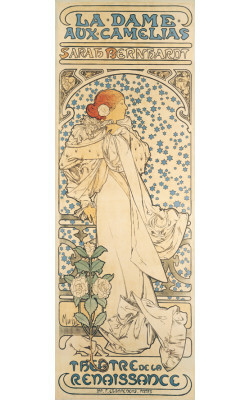 This is the poster that made Mucha famous. The story of its creation is legendary, with many commentators arguing over its details. 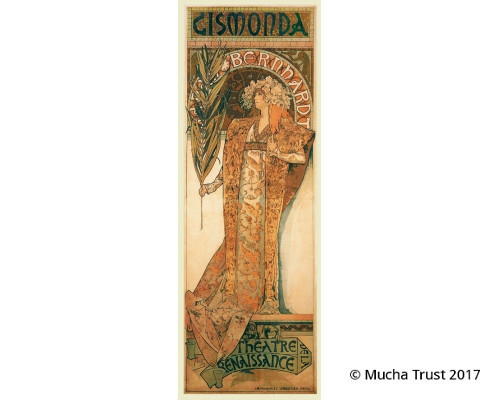 There is no question that Mucha himself saw the hand of fate in the circumstances which led to the creation of this poster. The story took place at Christmas of 1894. 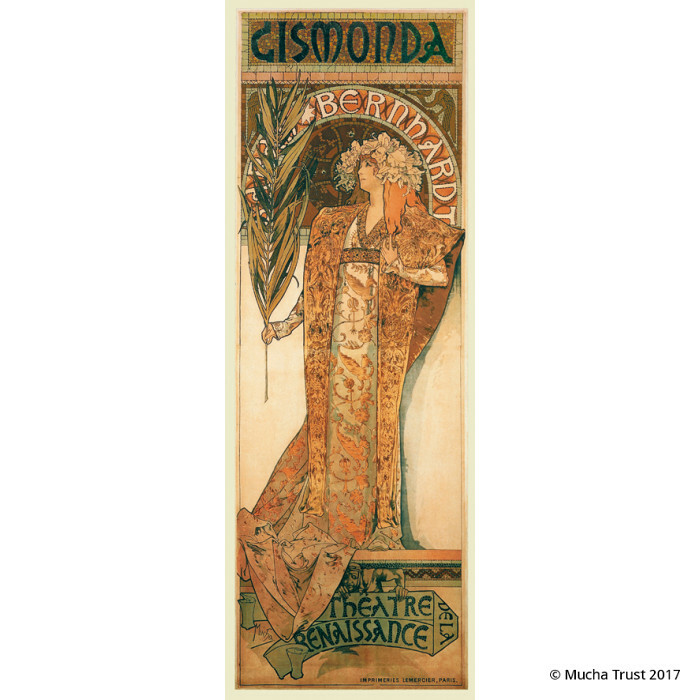 Mucha was doing a favour for a friend, correcting proofs at Lemercier’s printing works when Sarah Bernhard called the printer with an urgent order for a new poster for Gismonda. 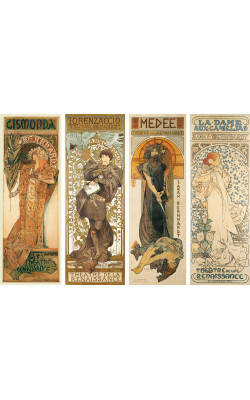 All of the artists who normally worked for Lemercier were on holiday and so he turned to Mucha. A demand order from “the divine Sarah” could not be ignored. 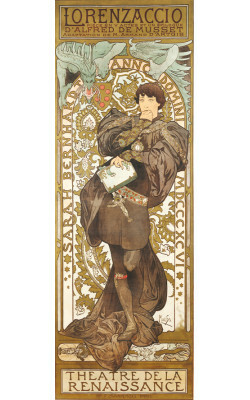 The poster that Mucha produced was revolutionary in its genre. The long, narrow shape, soft pastel colours and the stillness of the figure captured in a nearlife size produced a surprising sense of dignity and gravity which was quite startling. The poster became so popular among the Parisian public that some collectors would bribe the bill stickers to get it, while others would even cut them out from the hoardings at night. 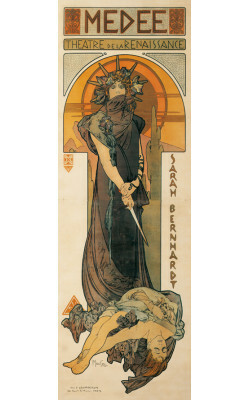 Sarah Bernhardt was delighted with the poster, immediately offering Mucha a five-year contract for the creation of stage and costume designs and posters.